Vintage motel sign of the Carousel Motel. 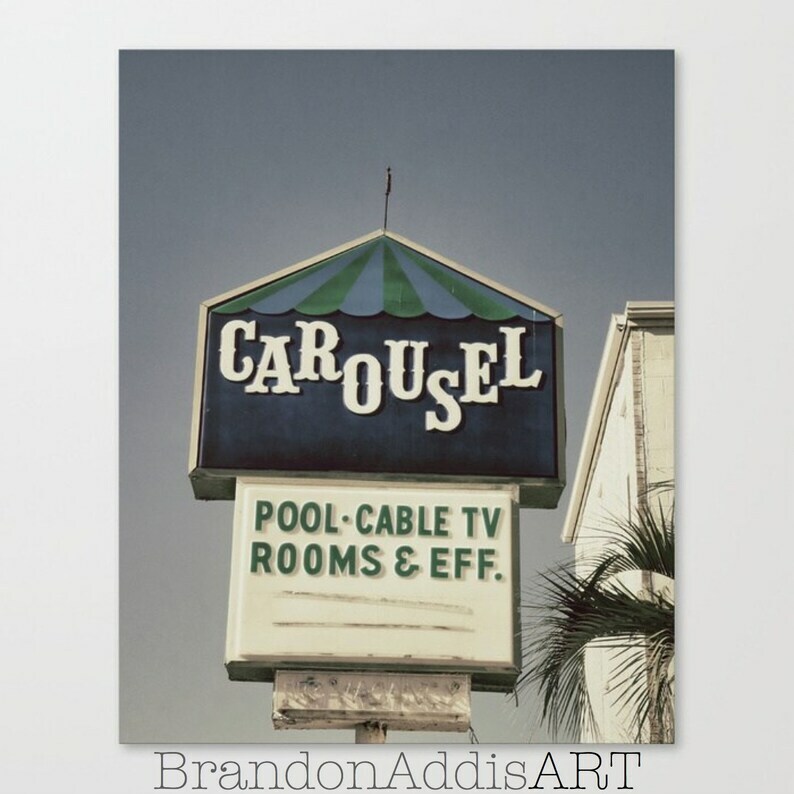 Create a collection of vintage motel signs or vintage neon signs to decorate your bedroom decor or guest bedroom decor. Vintage modern wall decor by Brandon Addis.